November third marked the 120th anniversary of the birth of William George Barker, Canadian First World War flying ace and Victoria Cross recipient. One of Canada’s most renowned fighter pilots and the most decorated serviceman in the history of the British Commonwealth, Barker shot down 50 enemy aircraft during the First World War. Barker was born in Dauphin, Manitoba on November 3, 1894. He enlisted in the 1st Canadian Mounted Rifles in December 1914 and arrived in France in September 1915 where he served as a machine gunner. 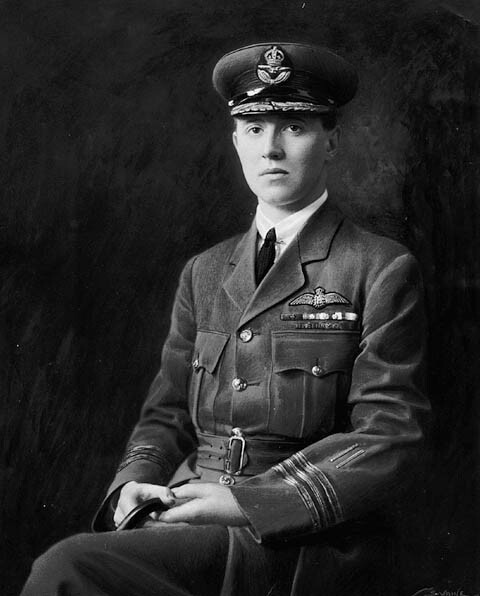 In early 1916, Barker transferred to 9 Squadron, Royal Flying Corps, and was commissioned as a second lieutenant. He transferred to 15 Squadron in July and shot down his first enemy aircraft from the rear of a B.E.2 aircraft. He was awarded the Military Cross in the concluding stages of the Battle of the Somme for spotting German troops massing for a counter-attack and calling down an artillery attack that broke up the 4,000-strong force. 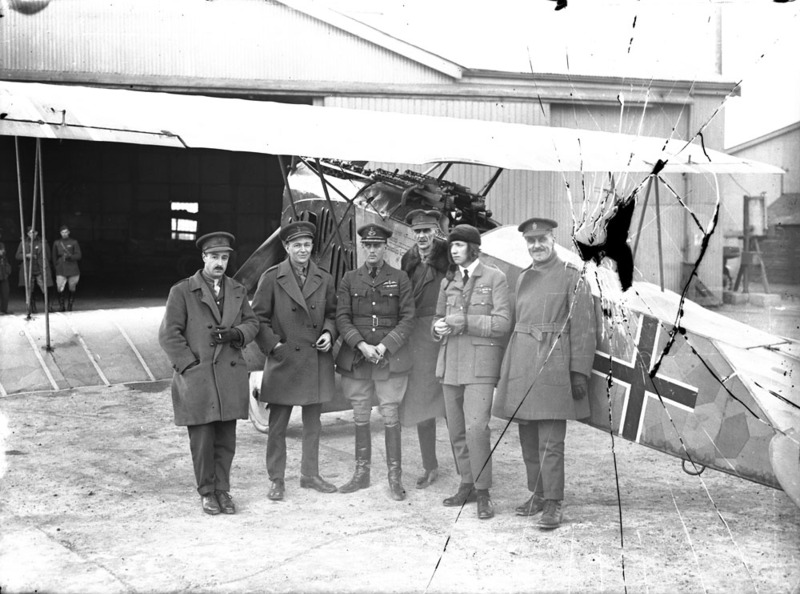 After an injury in August 1917, Barker served as a flight instructor in the UK but his ongoing requests for front-line service saw him join the 28 Squadron by the end of the year. Though unexceptional as a pilot, Barker exceled through his aggression in combat and highly accurate marksmanship, coupled with a tendency to ignore orders and fly unofficial patrols. 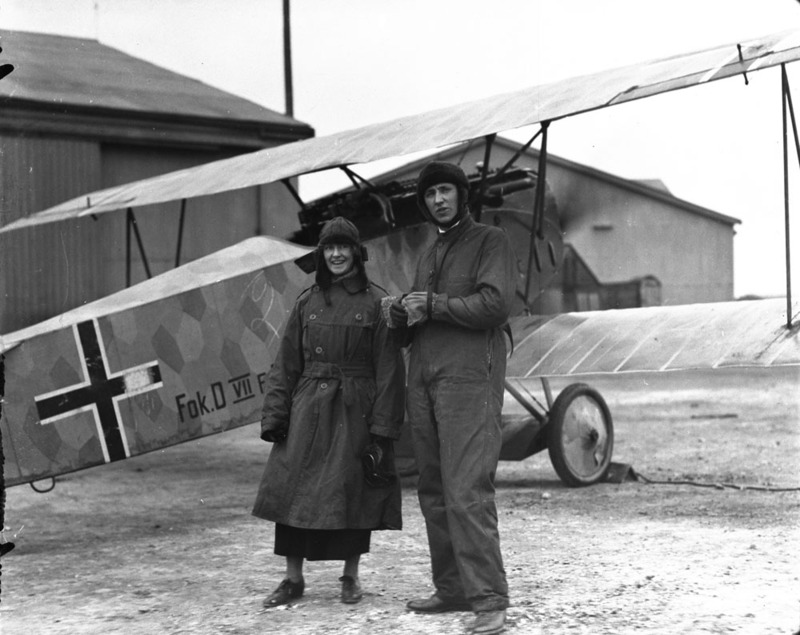 On October 27, 1918, Barker was attached to 201 Squadron, Royal Air Force and flying a solo excursion over the Fôret de Mormal when he encountered a formation of Fokker D.VIIs from Jagdgruppe 12. In the ensuing battle, which took place immediately above the Canadian lines, Barker shot down four enemy aircraft before crash-landing inside Allied lines. Severely wounded, Barker had only recovered enough to walk the few paces at his Victoria Cross investiture ceremony at Buckingham Palace by March 1919. As the most decorated serviceman in the British Commonwealth, Barker is credited with one captured and two (seven shared) balloons destroyed, 33 (and two shared) aircraft destroyed, and five aircraft out-of-control. Following the war, he and fellow flying ace William “Billy” Bishop formed Bishop-Barker Aeroplanes Limited. Barker joined the fledgling Canadian Air Force as Wing Commander in 1922 and was appointed Acting Director in 1924. He suffered the physical effects of his injuries throughout his post-war life. He died on March 12, 1930, aged 35, when he lost control of his Fairchild KR-21 biplane trainer during a demonstration flight at Rockcliffe Air Station. His funeral was the largest national state event in Toronto’s history. Library and Archives Canada holds the CEF service file for Major William George Barker. To learn more about Canada’s military past, visit the Military Heritage pages. This entry was posted in Military Heritage and tagged First World War, VC, VC series, Victoria Cross by Library and Archives Canada Blog. Bookmark the permalink. This is basically unrelated to Kingston history, but the Bishop-Barker Company took several really nice aerial shots of Kingston (and other cities) in 1919, for example the one at the top of the Queen’s Encyclopedia webpage – I can’t link to it here but it’s at queensu.ca/encyclopedia. You can see others by doing an image search for “Kingston from an aeroplane” on Library and Archives Canada. If I’m not mistaken Billy Bishop flew the plane and Billy Barker took the pictures. I might do a post highlighting these photos, which are among my favourites of Kingston. I’m sad to learn Barker had such a short life!